It’s been a busy couple of weeks. I’ve been sick (again. I can’t seem to fight this thing, whatever it is). And work. And teaching. And life too. Too busy and not enough hours in the day. Of course, it’s my ponies that suffer though they’re happy enough. 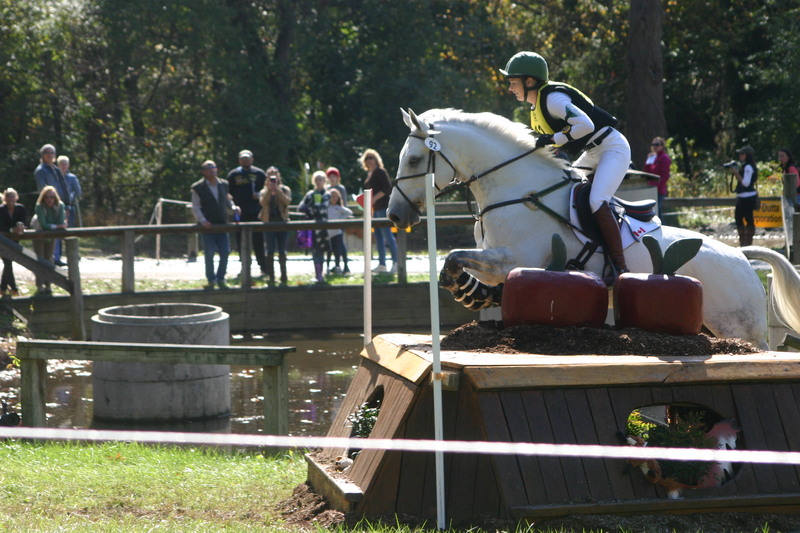 Last Saturday I went out to watch the cross country at Fair Hill. My second year going and always fun. We only saw about half of the CCI** but did see all of the CCI***. 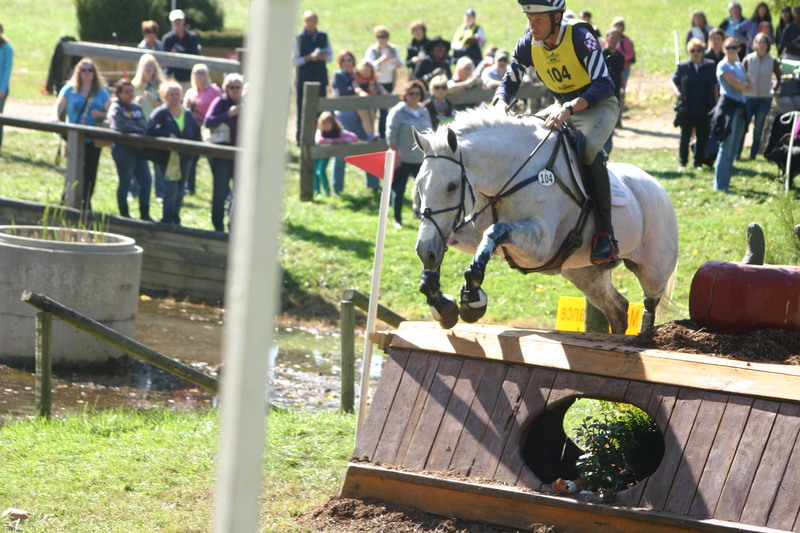 Honestly, I love watching cross country but I doubt I’d ever be able to do any of that, even on a much much much much much smaller scale. I just don’t have the nerve. I get nervous in the ring jumping. 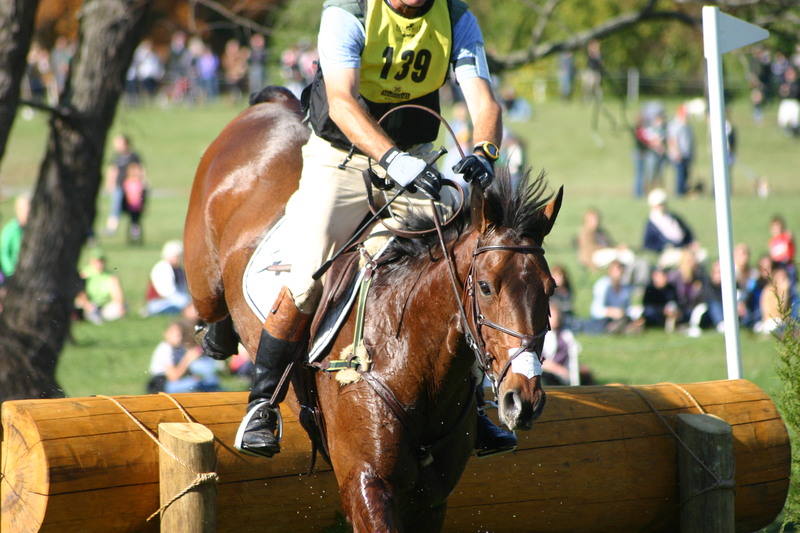 Jumping cross country? Not really for me. Still, I’m in awe of everyone I saw. Truly amazing. I also had the chance to by 2 MangoBay belts! I thought about ordering some earlier this month but talked myself out of it. Seeing them at Fair Hill, I was convinced. 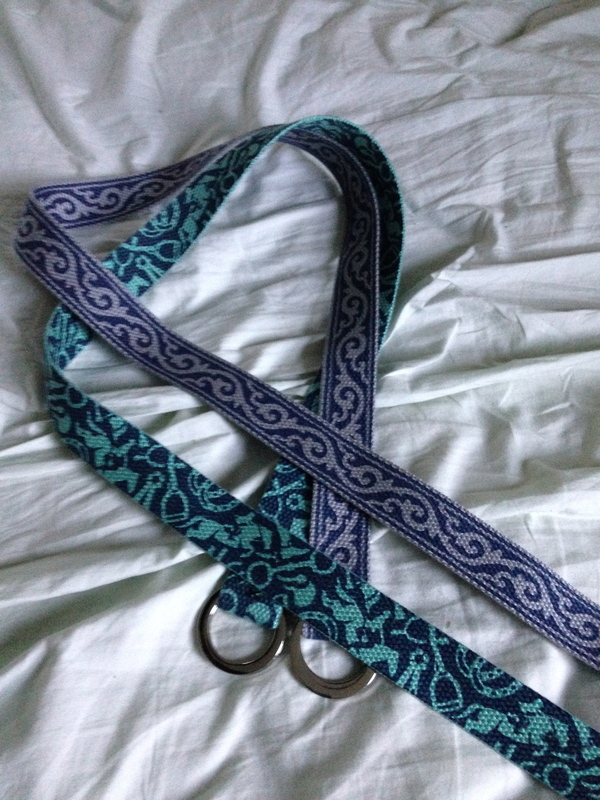 That said, I tried them on over my belt and now I realized they’re a little longer than I’d like. That said, they work and I can get them cut to size later. Love them though! Riding-wise, I haven’t done too much. Lots of trail ride on weekends lately. 1 last weekend, 2 this weekend. So, by the time I get home from my weekend barn/teaching/trail riding work, I’m way too tired to ride. 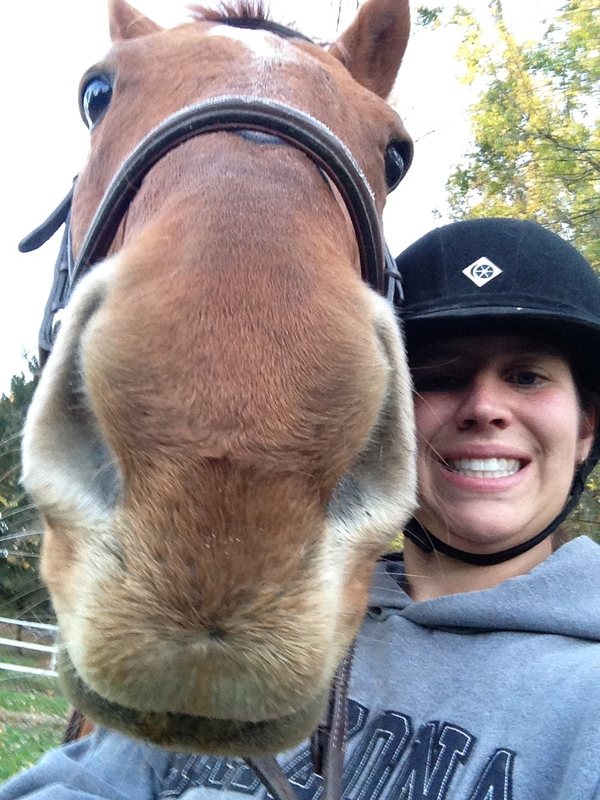 Plus being sick… Anyway, today before the trail ride, I hopped on Heidi to make sure she was quiet enough to take out. I’ve been riding other horses out on the trails lately and I don’t think she’s been ridden since I last rode her on labor day. So, we played around in the ring first. Lots of walking followed by a little trotting and she was exhausted in her halflinger way. I love her but she doesn’t walk. She marches and trucks around the ring. Anyway, my calves were killing me after our ring ride (didn’t help that I pulled something in my right calf on yesterday’s trail ride — sort of the start of a charley horse that thankfully didn’t actually happen) so I enjoyed my half hour break before I had to take out today’s ride (of course the break included horse catching and hills….). Anyway, we had a good group on today’s ride (3 of them, the perfect number) and the horses were perfect. 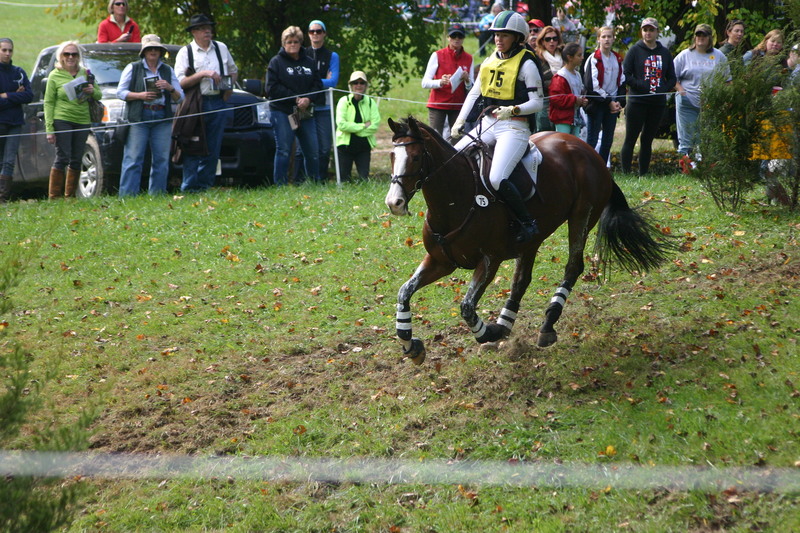 Of course, Heidi spooked at something at the start when we were walking past the frat boy field (saw a horse? no idea) and I almost came off. The spook was sudden and I didn’t expect the spin on the edge of a short by steep hill. 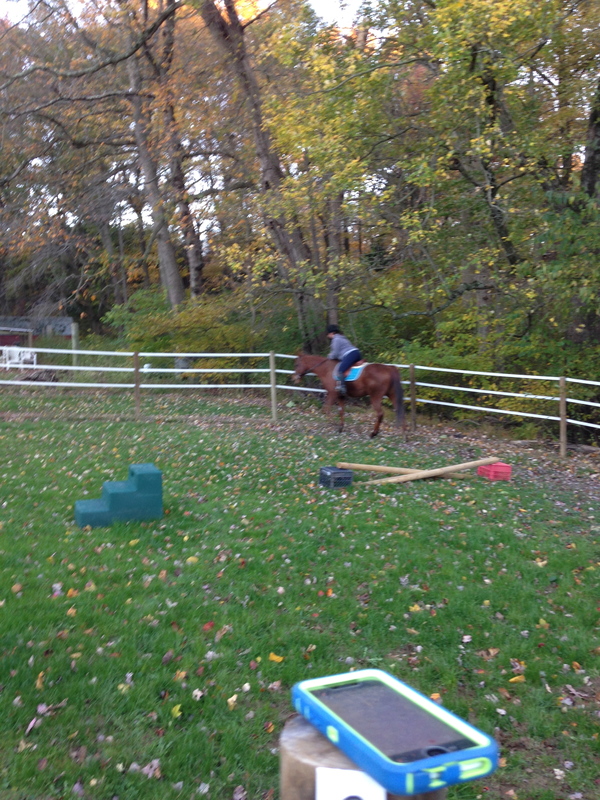 I ended up in front of the saddle sliding off her neck but somehow I saved it? My trail riders were impressed! No other incidents during the ride though. Just exhaustion. But, I needed to ride when I got home so I forced myself to hop on Subi when I got home. I haven’t ridden him in a few weeks and being that I was tired and needed my 2 point time, I just hopped on him in the round pen without lunging. 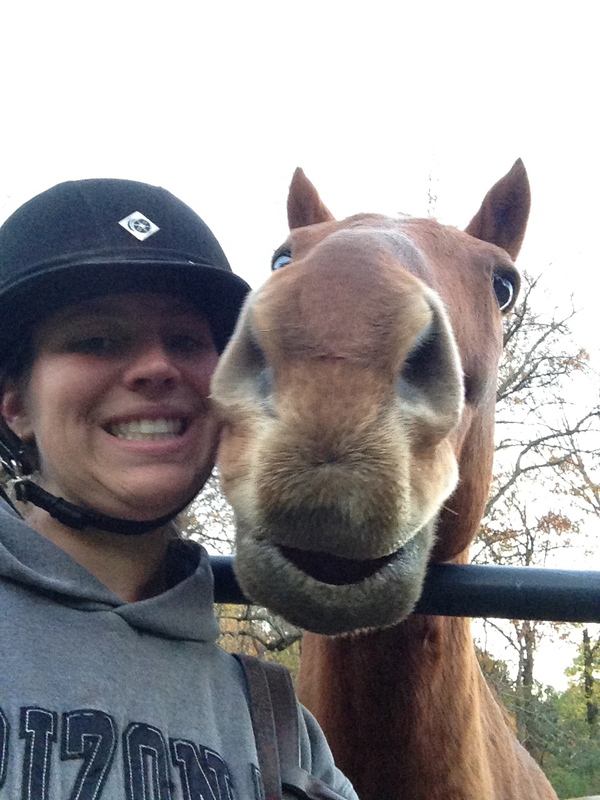 Thankfully my crazy dork of a horse was as tired as I was and didn’t seem to have any energy. He’s like a walk trot lesson pony when he’s like this. Of course, he’s not always like this. Anyway, we survived out 10 minutes and 4.96 seconds in 2 point and then with my aching legs trotting around a few times before pain told me to call it a day. I love my Subbadork. 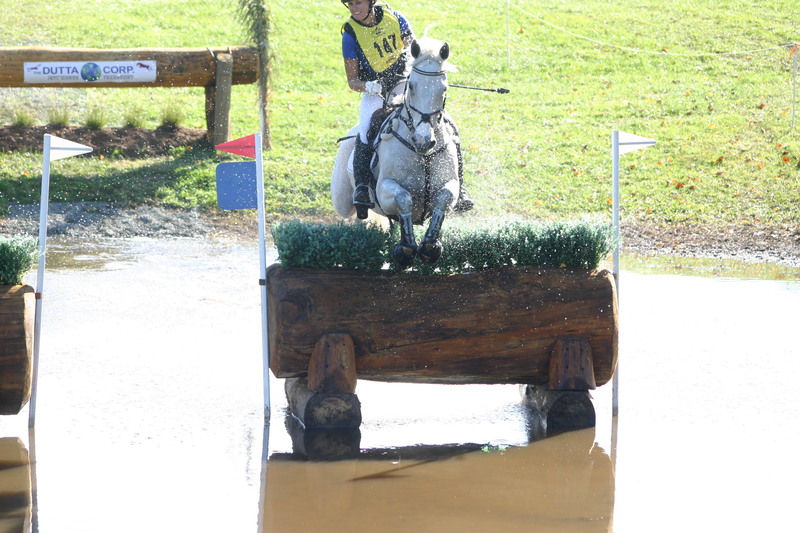 Hopefully I’ll be able to find some time to ride this week to get one more 2 point time…. This entry was tagged 2 point, 2pointober, Subliminal. Bookmark the permalink.